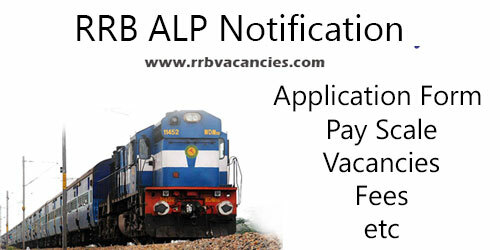 RRB ALP Notification News: RRB (Railway Recruitment Board) has released the notification for vacancies of ALP (Assistant Loco Pilot) and Technician Grade – 3. Candidates who have completed 10th and ITI can apply for these jobs. This is a golden opportunity for the candidates to catch the central government job through these posts and build a successful career. 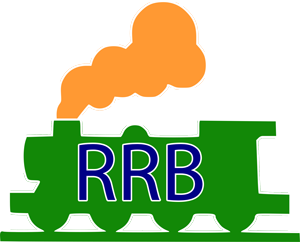 RRB provides a number of vacancies for many job seekers. Here the details regarding RRB ALP and Technician jobs, pay scale and application form. You can get the best updates of RRB ALP notification and application form through this site. Candidates who have passed 10th or SSLC plus ITI from recognized institutions of SCVT/NCVT. Candidates age should between 18-28 as on 01-07-2019. Age relaxation is applicable 5 years for SC/ ST, 3 years for OBC, 10 years for PwD (UR), 13 years for PwD (OBC), 15 years for PwD (SC/ ST) candidates & for others as per rules. Candidates need to pay Rs 500 /- for all general categories and Rs 250/- for SC/ST/Ex-Serviceman/PWDs/Female/Transgender/Minorities/Economically Backward classes through online payment mode or E – Challan Offline Payment mode. Here are the details of the pay structure of RRB Assistant Loco Pilot. Deductions from salary include 10% of total Pay towards New Pension Scheme. Click on new registration, if you are registering for the first time. Complete the registration process by generating id and password through OTP (one-time password) for validation. After registration ID and Password will be displayed on the screen. Retrieve OTPs that are sent to Email ID and Mobile number for Validation. Click on Apply/edit Option on the screen.Complete all the details and submit the form.Before submitting the form you need to pay the fee. After submitting the eligibility criteria form, make payment, Only after payment, you will be able to fill other additional details such as uploading photos etc. 8.Payment through online mode like Debit card, Credit card, Net banking. If the payment offline: Payment is through the post office, Select the particular post office from the drop down and click the button to proceed for generating challan and pay the fees in the nearest computerized post office. After successful payment, Click on Fill additional details like photos uploading and Documents. Before uploading check whether the photo is printed with date and name on it and upload the scanned photo. Click Final Submit. Before clicking the final submit review all the details that you entered are correct or not. After final submit you cannot edit the details. Subscribe to our website for more Railway Job updates and share this information with your friends. Thanks for visiting our www.rrbvacancies.com.